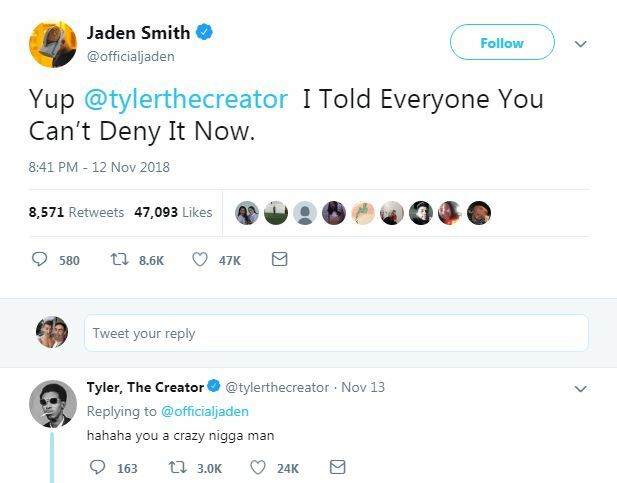 Hot on the heels of reports that Jaden Smith was dating Lil Xan, the son of star Will Smith has broadened the gay rumours by telling fans on stage that his boyfriend is Tyler, the Creator. The wild unpredictable announcement happened on the weekend while Smith, 20, was performing on stage at the Camp Flog Gnaw music festival in Los Angeles. During a break between songs Smith told concertgoers that Tyler, 27, is his boyfriend. “I just wanna say Tyler, the Creator is the best friend in the world and I love him so f—king much,” Smith said in a video recorded by a fan. Tyler, who was in the crowd, looked taken aback by the announcement, waving his finger at the audience to signal he wasn’t on board with it. Tyler, who created the Camp Flog Gnaw festival, has danced around his sexuality on multiple occasions in the past, leaving fans wondering if he was serious. 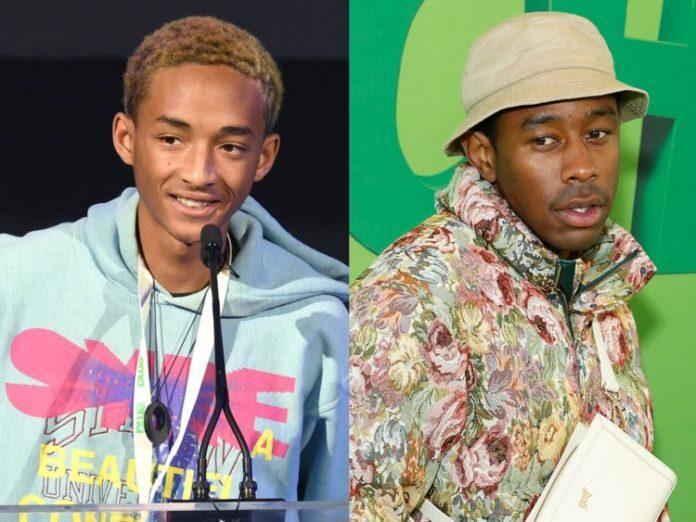 It’s unclear if the buds simply have a deep bromance or an actual romance but Jaden Smith is certainly not wasting any time finding men in his life.